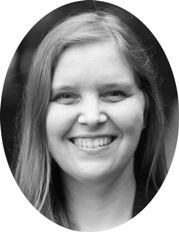 Michelle Wyatt is co-founder and CEO of CadmiumCD, a meetings technology company focused on collecting, organizing and deploying conference educational materials. Michelle has a chemical engineering degree from the University of Delaware and a MBA from the University of Maryland Robert H. Smith School of Business. She works with over 100 meeting planners a year discussing specific needs they have for implementing their conference education program. CEOCFO: Ms. Wyatt, would you tell us the concept at CadmiumCD? Ms. Wyatt: CadmiumCD began fourteen years ago by providing a green alternative for meeting planners by converting the binders that you see handed out at conferences to CDs. We would digitize the papers and then convert them to CDs and hand them out to attendees. Much of the time CDs were more cost effective and colorful and quicker to turn around than the printed publications. Since then we have grown tremendously and provide many digital software options for meeting planners and attendees to use at events and conferences. Cadmium’s name derives from the original product, as CD is the chemical abbreviation for Cadmium. CEOCFO: What might be the more common offerings that you have and what might be something a bit more advanced that people might use if they are thinking ahead? Ms. Wyatt: All of our products are targeted towards meeting and event planners, so we offer many tools to help manage speakers and exhibitors and conference events. For attendees, we have an app as well as numerous websites designed to deliver the information that they need to be effective at the conference. Our native app has won industry awards because of the note-taking capabilities within the app. You are able to draw, highlight and take notes directly on the side that the speakers are presenting. CEOCFO: What is the key to keeping your solutions simple and user-friendly? Ms. Wyatt: We host monthly user group meetings, where we will go over many of the changes and additions that we made to our product line. Once we have made a change or an improvement for one client, it is available for all clients. It is mainly because it is delivered via the web we can make that adjustment available for anybody. With the feedback that we get from users, we assign programmers that will tackle or implement suggestions as needed depending on what the feedback is. CEOCFO: What have you tweaked based on customer feedback? Ms. Wyatt: One of the ways you can search our products is by category name and a client wanted them to be color coded as well and we added that feature. CEOCFO: How do you keep up with new trends and technologies? Ms. Wyatt: We attend quite a few conferences and events of all sizes. We use the technology that is provided at the event and can quickly see where our products are competitive or have features that are currently not available in the marketplace. CEOCFO: You website indicates ‘one vendor for your entire conference’; do most clients take advantage of the full range and are there some that still pick and choose? Ms. Wyatt: More and more want the full range of modules because data integration across multiple vendors is one of the biggest challenges within the event industry. Many times the event planner is working with a number of different vendors to get changes and additions made. For example, it is very common to have last minute change in speakers, rooms and times. If they are dealing with multiple vendors, they may have to call four or five different vendors in order to implement that change. If they are working with us, they just enter it into one of our systems and it would be updated everywhere. CEOCFO: Are there many companies that offer a full range like CadmiumCD? Ms. Wyatt: Competitors focus on one of the core areas we have; we have eight core products right now and most of our competitors just offer one or two of our core products. As far as I know, there is no one that offers the depth that we have. CEOCFO: When speaking with prospective clients, do they understand that depth immediately? Ms. Wyatt: Yes, most of them get it immediately. The challenge is that many clients have agreements in place with other vendors that have competitive products or haven’t established a budget to pay for their technology needs. Many of them are still doing a lot of the stuff that technology enables the old-fashioned way – for example, a lot of our clients are still managing their speakers via email. Email is theoretically free, so they have not established a budget for buying software that would enable them to do better, faster and ultimately cheaper through systems that we offer. I do not think meeting planners are quite as aware of all the technologies currently available just because it is a challenge to stay up to date on everything that is available and this field is changing so quickly. CEOCFO: How do you help clients make the leap? Ms. Wyatt: We have project managers that are dedicated to the clients and they basically walk them through the entire process and help them so that hopefully they do not get stuck at the point where they cannot figure out how to move forward. We tell our clients that if they are struggling for more than ten minutes on anything to give us a call and we will help them out. Most of our clients come back to us year after year. CEOCFO: How would an engagement unfold? Ms. Wyatt: One of our modules is a “call for speakers” which is basically when a meeting manager solicits ideas as to what topics should be covered in their upcoming meetings. That could normally start anywhere from three months to a year out before the conference, so that would be the first step many people would take with us is to get information and ideas from members and non-members as to what they wanted to discuss at the conference. Once they had reviewed that information and selected how they wanted to proceed and which topics they wanted, they would move into the conference harvester, which is used to manage speakers in the system. The speakers communicate additional information anywhere from their file presentation slides to air and ground transportation and hotel. We can also start people off with an interactive floor plan where exhibitors can pick and pay for their booth that they want to have for the following year. Some of our clients will start that sales process onsite at their current conference or some of them may start a couple months after their current conference ends. CEOCFO: Are you advising your clients along the way or are you more implementing what they have already decided? Ms. Wyatt: We help our clients quite a bit depending on their size and their process. Many times, we do make recommendations on how to accomplish what they want in a different manner. It all depends on what they need or what is guiding them. For example, in continuing medical education for doctors and nurses, there are more and more regulations as far as an accreditation board that needs to approve the process and how the education is delivered. We are quite familiar with that, so we can make recommendations based on our knowledge in dealing with other clients to best practices in the industry. CEOCFO: Are there particular industries that you tend to work with more than others? Ms. Wyatt: We are approximately 50% to 60% medical or dental at this point. Our company focuses a great deal on the conference education piece and they tend to be more in tune with that. There are some shows out there that are just focused on the exhibitors and the networking that is going on whereas other conferences are focused on teaching people new thoughts and methods. Our business is geared towards those types of events where there is more of an educational component. Ms. Wyatt: I would say it is people’s tolerance for technology that does not function the way it should. We work with many people that have not had the best experience with other vendors and it surprised me how many vendors are out there that launch a product without making sure that it works the way the client needs. Ms. Wyatt: We are hoping to grow between 30% and 50% this year. CEOCFO: Is that unusual and what may have changed that would account for that growth? Ms. Wyatt: We are still relatively small. We have a ton of opportunity and I would say our overall market share is less than 1%, so there is a great deal of opportunity for growth for us. CEOCFO: What do you watch out for as you grow? Ms. Wyatt: Hiring the right people is always a concern and making sure you hire them when you need them and not too early or too late. It is a fine line with funding growth and development versus maintaining your standards and making sure that the clients continue to have a positive experience. We do not want to grow to the point where the clients no longer feel like they can reach out and express an idea. We try hard to listen and hear what they are saying. CEOCFO: Why does CadmiumCD standout? Ms. Wyatt: CadmiumCD stands out because of integration and the fact that we can deal with data from the very beginning to the final product and all the stuff in-between so they do not have to worry about data integration and the translation of data from one vendor to another.